For more than 50 years the MTT-S has worked to advance the professional standing of its members and enhance the quality of life for all people through the development and application of microwave technology. 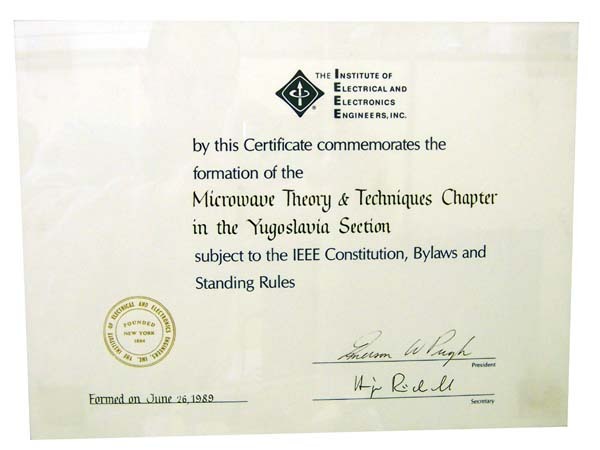 As we enter into an exciting future our mission is to continue to understand and influence microwave technology.The activities sponsored by the MTT-S include a broad spectrum of conferences, workshops, tutorials, technical committees, chapter meetings, publications and professional education programs. Serbia and Montenegro MTT-S Chapter was founded in 1989 as Yugoslav MTT-S Chapter. The chapter name was changed in 2005.